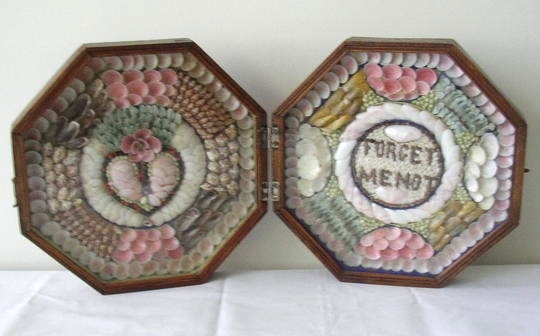 19th C. Sailor’s Valentine with a “Forget Me Not” greeting. Each half of the double Valentine is 9″. Made in Barbados. Excellent condition with all shells intact.